I'm not sure of the date of manufacture for this Wallace & Tiernan FA-140 barometer, I suspect the 1960s. Newer instruments have a different Wallace & Tiernan logo. Also W&T became part of Pennwalt Corporation in 1969, and later instruments have the Pennwalt logo. It's a precision barometer and is very accurate. It has a 5 inch dial. It can't be set to sea level pressure because the pressure adjustment screw does not have enough range for my 720 foot elevation above sea level. I have never seen another example of a FA-140 or found any information on it. 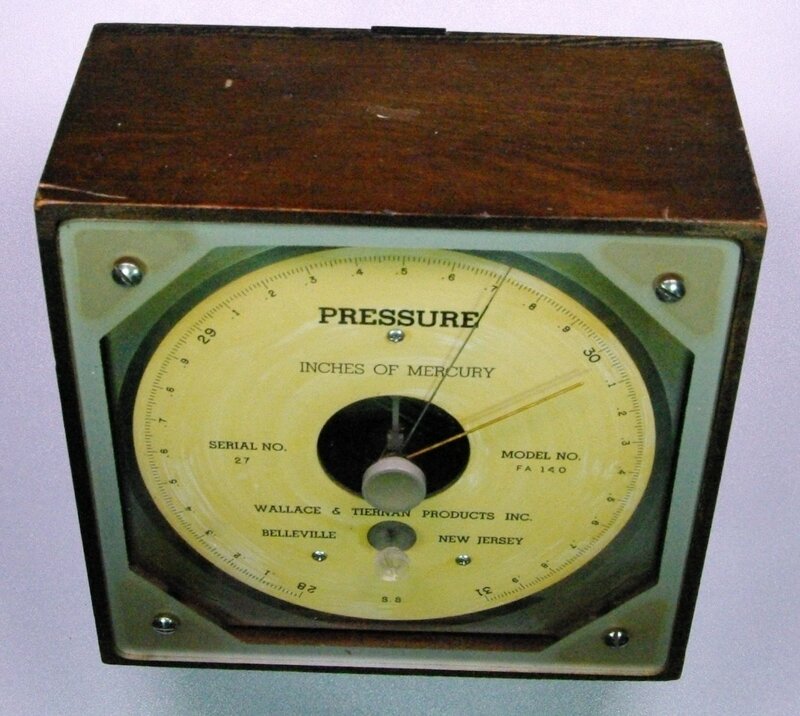 If anyone has information on this barometer please email me. Go to the Wallace & Tiernan catalog page.